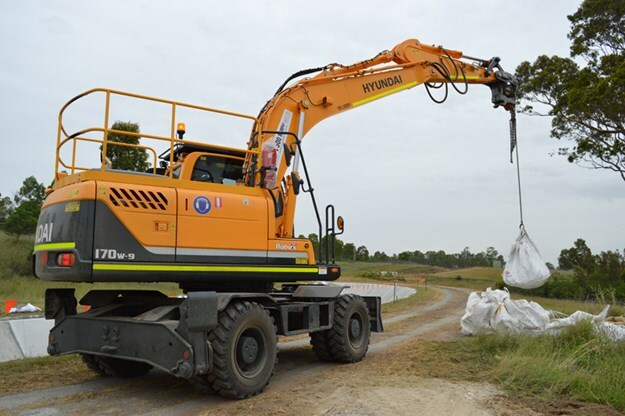 [SPONSORED CONTENT] Murphy’s Contracting Services is hard at work upgrading Western Sydney’s Upper Canal to ensure it keeps delivering water to residents for generations to come as well as creating new roadways as part of the WestConnex project. 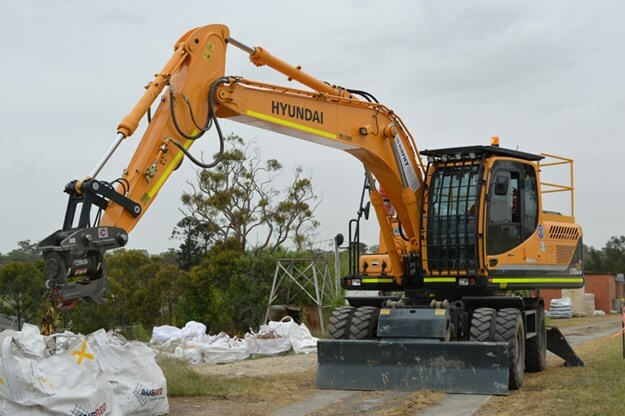 Randall Johnston went along to see how two new Hyundai excavators are helping the team deliver across these two huge job sites. It’s the first water infrastructure-related project that Murphy’s Contracting Services (MCS) has undertaken and one of the biggest projects that it has ever taken on. Prospect Reservoir is Sydney’s largest and stores water conveyed from Warragamba Dam, one of the Upper Nepean Dams, and supplies the bulk of Western Sydney’s water supply. The current task for the MSC crew is to relay the concrete to ensure the longevity of a 5km stretch of the Upper Canal that feeds into the 50,200-megalitre Prospect Reservoir, as part of a multi-million dollar infrastructure upgrade project for WaterNSW. "This is one of the biggest projects we’ve been involved with to date and it’s exciting to be upgrading water facilities such as this now, because this just shows what we are capable of," MCS managing director Chris Murphy explains. "The timeline is tight because they obviously have to get the water flowing along here on a strict date, but we are tracking really well and everything’s going to plan. "The realigning application for this waterway was originally based on 400 linear metres of production per week and we are achieving that. "This is the Upper Canal of the only remaining gravity-fed canal from Picton to Prospect Reservoir, so it’s quite unique and far from your run-of-the-mill concreting job." 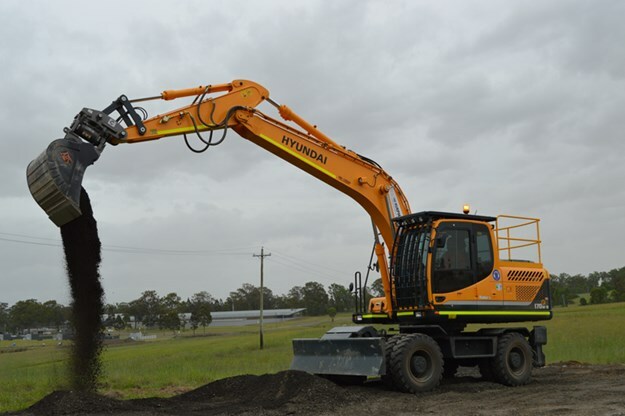 The Hyundai R170W-9 excavator being used by MCS on this job has two independent outriggers and a dozer blade, all controlled by a switch and the dozer lever. The outriggers come in handy onsite to assist in stabilising the machine when lowering materials into the canal. In addition, the six-cylinder turbo Cummins QSB6.7 diesel engine provides plenty of grunt and reliability to tackle works along some of the steeper terrain. 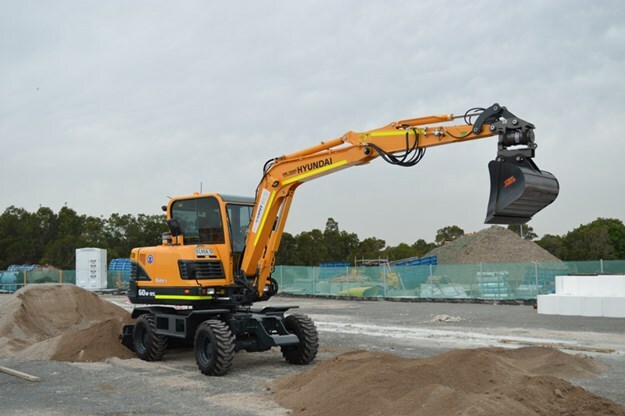 "I had picked up a second hand Hyundai R140LC-9 excavator and Porter Equipment treated me like it was a brand new machine with the service they gave me," Murphy reveals. "I didn’t even buy it off them directly so they didn’t have to do that, and I was appreciative. Plus the R140LC-9 I had served me well even though it was an older machine, so that was the main reason why I went with Porter and got this new R170W-9. 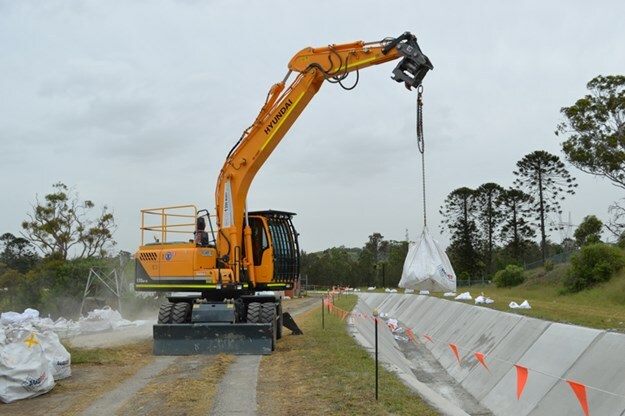 "The same goes for the R60W-9S that we are using to help build the new curved roadway on the WestConnex project; it’s just that I needed something a lot smaller and a bit more versatile for that." Porter Equipment’s New South Wales Territory manager Ashley Smallcombe has been looking after MCS and Murphy says the level of service he’s received from him has been outstanding. "It’s the after-sales service and reliability of the machines that makes all the difference with these manufacturers and Porter comes to the table with that," he says. 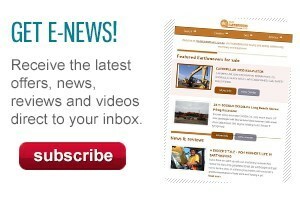 WaterNSW set out to upgrade the vital infrastructure as a matter of urgency, as Sydney’s population continues to boom and water consumption has never been higher. The Upper Canal system transports raw water and has the capacity to transfer up to 30 per cent of Sydney’s water supply. Built in the 1880s and now listed on the State Heritage Register, the Upper Canal is the only way of transferring water to Sydney from the four Upper Nepean Dams. Over 125 years old, the canal remains an essential piece of the Greater Sydney water quality and supply infrastructure and these works carried out by Murphy and his team will ensure it can continue operating into the future. "Our main job is to extend the design life of the canal itself, but also to maintain its heritage design," says Murphy. "In a lot of the areas you can see the convict sandstone; it’s all hand-dug, which is quite amazing really. It’s certainly a project of state importance and there is a lot of history behind its initial construction." Landing this project has paved the way for MCS to obtain other water-related jobs, including pump stations, and Murphy is confident that the successful delivery of this project will lead to more work in the water infrastructure and renewables sectors. "There’s no doubt that this project represents a significant milestone for the business and we are proud to be involved," he says. "At the moment we are probably averaging about 60 to 70 staff onsite at any one time. "The canal is all hand-sprayed and machine-finished via the roller systems that are there. "There’s a crew of scaballing teams ahead and then we have a crew of steel fixers, shotcrete crews and concrete finishing crews; then behind that you’ve got your concrete caulking crews. 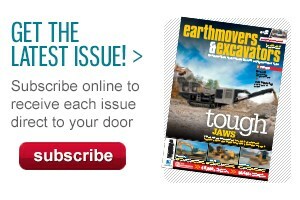 "It’s a busy site, but we’re getting great results with the methods that we’re using." MCS was engaged as a subcontractor by Comdain Infrastructure quite late in the initial stage of the project, but Murphy says his team took on a ‘fair scope of work’ valued at $8 million and wasted no time in getting the works under way. "We started on this site in October this year and in the first six week period alone we realigned 2.7 kilometres of the canal, which was fantastic," he reveals. "In this possession we’ve done an additional kilometre; finishing the previous stage and so we still have about two kilometres of the canal that’s yet to be upgraded. "Once that’s done we will hand the asset back to WaterNSW by around mid-December, without the need for them to turn off the water that flows through the canal again." It’s been a complex job, according to Murphy, because of quite strict specifications in terms of the materials and methods used to complete the canal upgrade. "It’s a bit of a hybrid mix I guess you could say for the actual application of the concrete," he explains. "Obviously we have to work within the constraints of WaterNSW’s build specifications and make sure the concrete arrives to site within specification and make sure the tolerances are right. We’re using standard 10mm aggregate shotcrete." While Sydney and indeed all major Australian centres are in the midst of a civil construction and public infrastructure projects boom, the rise of MCS has still been nothing short of phenomenal. "It’s been a good journey," Murphy says. "I started the business myself here in January 2014, like anyone else with limited funds. "I just had a bit of a dream, a bit of ambition and plenty of motivation to start providing labour hire to the local piling industry, which is what my background and experience is in. "Within a period of months we grew to having about 35 to 40 people. "At that point I was able to purchase some machines; three excavators and a skid steer, and at the same time grow our service and start taking on our own contract work." Fast-forward to 2018 and the MCS fleet now consists of about 40 excavators, ranging in size from 1.7 right up to 22-tonnes as well as a range of dumpers, water trucks and a few trailers. Murphy even has a few crane trucks on the road. The company also hires its machines out, offering both dry and wet hire options, with the plant hire component of the business representing about 35 per cent of its revenue. "We are still pretty light in the office, so we will likely need to grow that side of the business in order to catch up with that growth and we will be looking to open a branch in South Australia and in Brisbane within the next year or two as well," he says. MSC now employs 145 full-time staff, which is unbelievable growth within just four years by anyone’s standard. About an hour’s drive from the Upper Canal site, over near Sydney Airport, a much smaller six to seven-person MCS crew is hard at work on the absolutely huge Sydney road project named WestConnex. Murphy says MCS is just one of hundreds of contractors working to complete new on and off ramps for what will be Sydney’s newest major roadways. "This is where the new M5 and M4 motorways will meet. We’ve been on this project for a good two years already, but we were previously working on a different section," he says. Murphy says he’s happy with the results that he’s getting on WestConnex and is currently doing the enabling work for the piling rigs and shaping the parallel curving edges of the new roadway. "We are pouring concrete out here every other day, but soon we will need to ramp up the number of staff to about 15 out here fairly soon," he explains. The goal of this part of the project is to double road capacity along the M5 East corridor, with new M5 underground tunnels running between the suburbs of St Peters and Kingsgrove. These new routes will eventually join together via the M4–M5 link tunnel to form a seamless motorway without traffic lights. 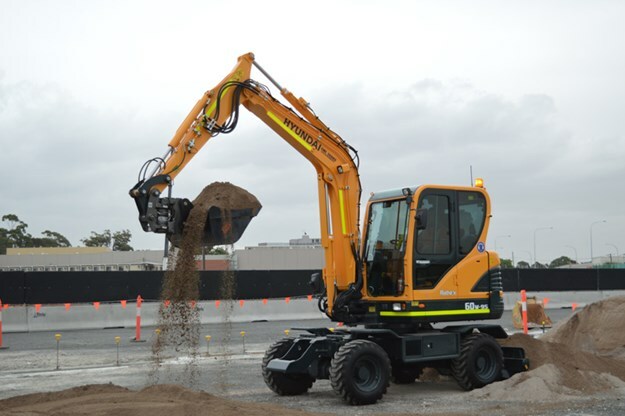 Murphy decided that a 5.5-tonne Hyundai R60W-9S would be ideal on the WestConnex site where he needed a versatile and manoeuvrable wheeled excavator to help remove earth for the new roadway. WestConnex is a long-term project that requires works across a large number of suburbs, with an overall projected completion date of 2023.